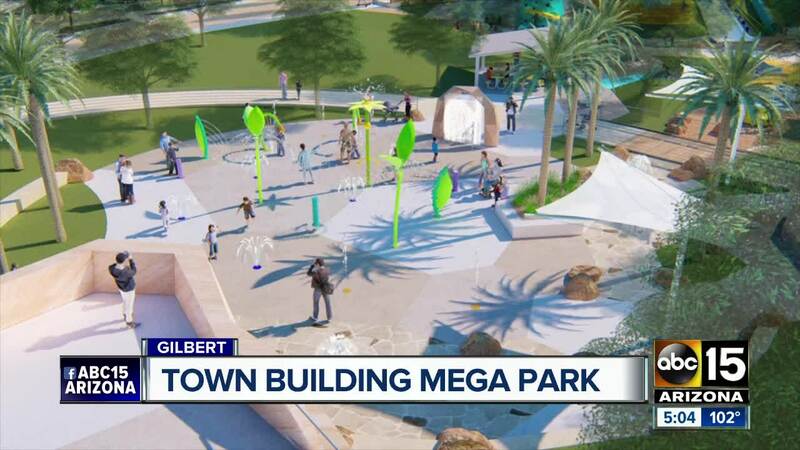 New conceptual designs are being revealed as one of Gilbert's most anticipated projects takes a big step forward. 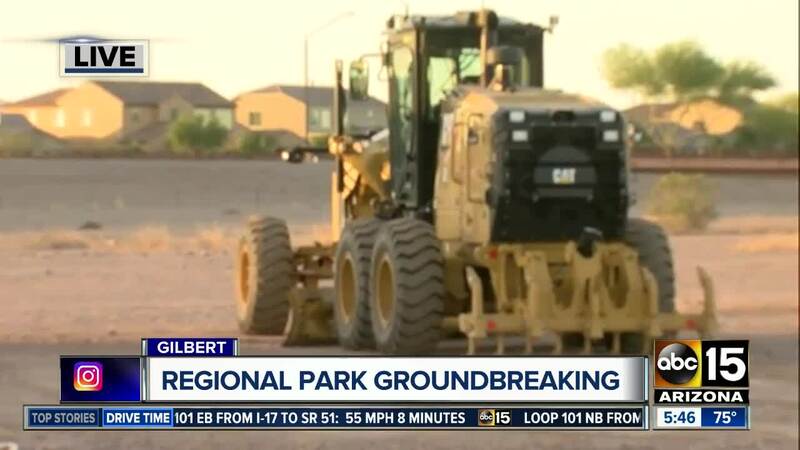 On Tuesday morning, city officials broke ground on a giant new regional park near Higley and Queen Creek roads. After a turnout of 200 people at the last community meeting, designers implemented some of their feedback and tweaked the design of the playground -- the centerpiece of phase one. The vision is to incorporate multiple slides, climbing structures, splash pad fountains and water features. A lake, as well as pickleball and tennis courts are also part of the first phase of construction. The city plans to cut the ribbon and open a year from September. Then they plan to immediately begin construction on 20 acres that are part of the second phase. This summer, the town council will vote on an official name and the community will be invited to weigh in. In January, officials told ABC15 the ambitious project comes with a hefty price tag near $100 million over the course of five to ten years. Buchanan says the first phase will be paid for through capital improvement funds, park development fees and land sales already approved by voters. You could also see a bond measure in 2020.